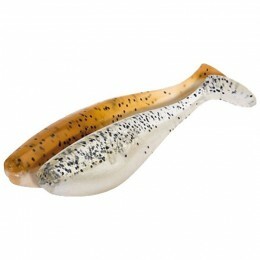 A super versatile Real Eel imitation loaded with innovative features! 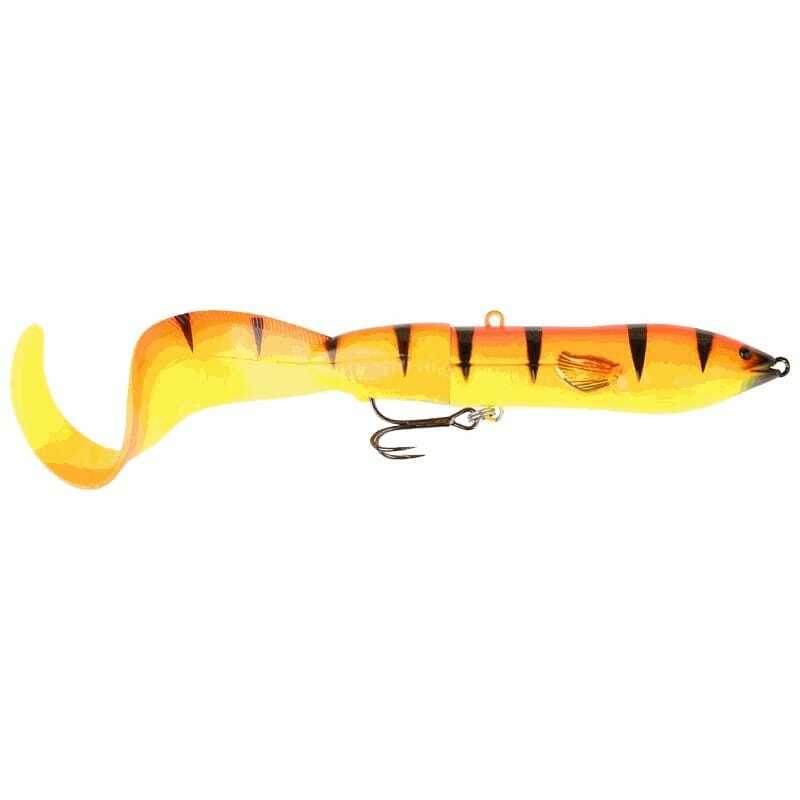 The design is simple yet very clever and will ensure you superb results on any predator that will go for an eel or lamprey! 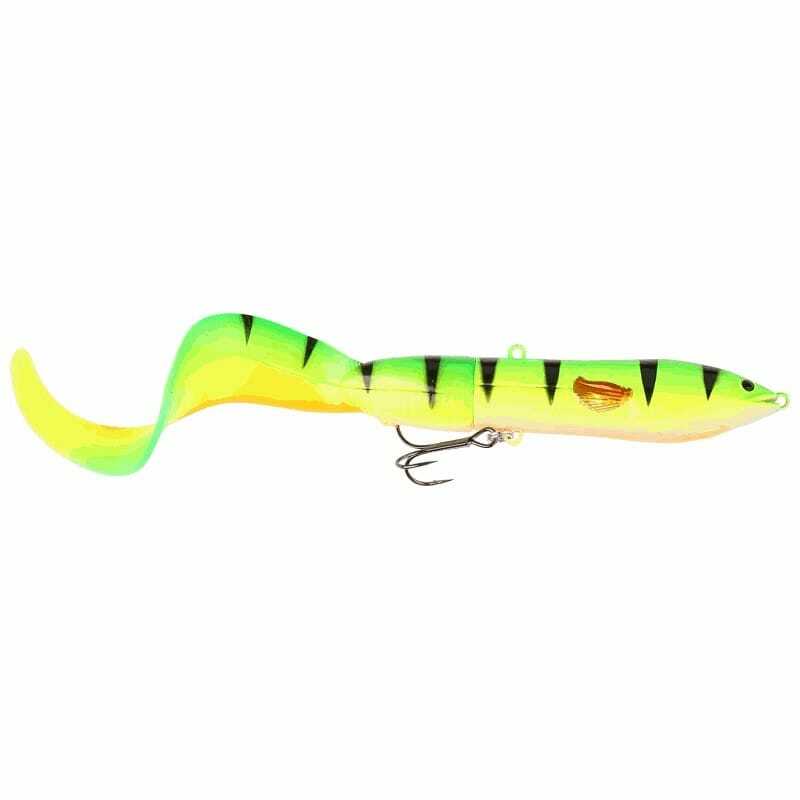 The long tail, will make the lure rock enticing from side to side and leaving a great eely snaky tail after it – When the tail is screwed on tail down – the "up force" on the tail part – will push the head of the lure down – so it runs under the surface in more or less the same depth all the way in – Turn the tail Up, and "down force" on the tail – will force the head up – so the eel comes to the surface and runs right under the surface creating a create super wake effect! 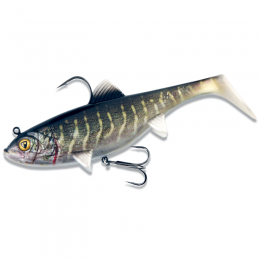 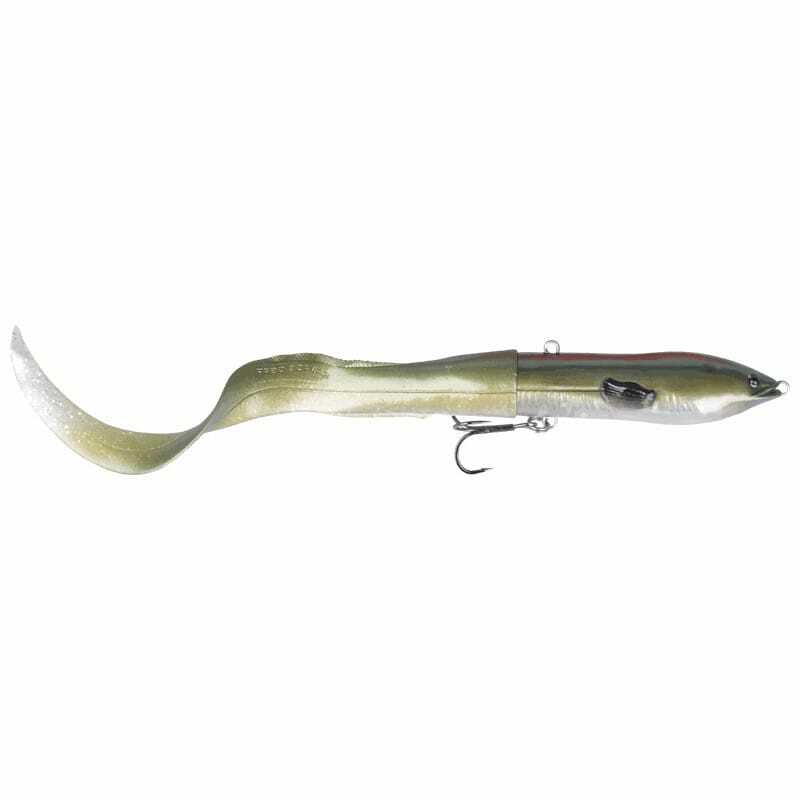 The short tail – turns the hard lure into a superb glider – with a great side to side glide – with slight tabs from the rod tip. 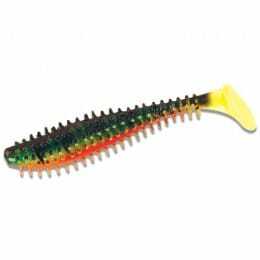 The downturned tail – will create "up force" on the tail part – so the lures stays down in 2-4 feet all the way in – turn the tail up and the "down force" on the tail will force the lure to the surface straight way – with a super wide and breaking glide. 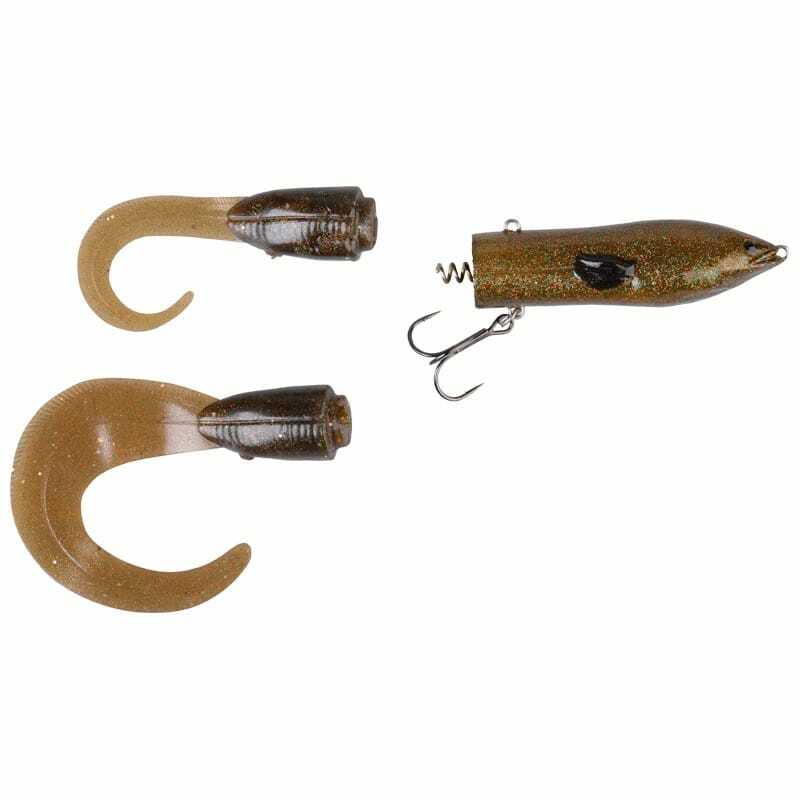 The big size, comes with and innovative double magnets system to hold the front belly hook in position and enhance presentation and hook up rate. 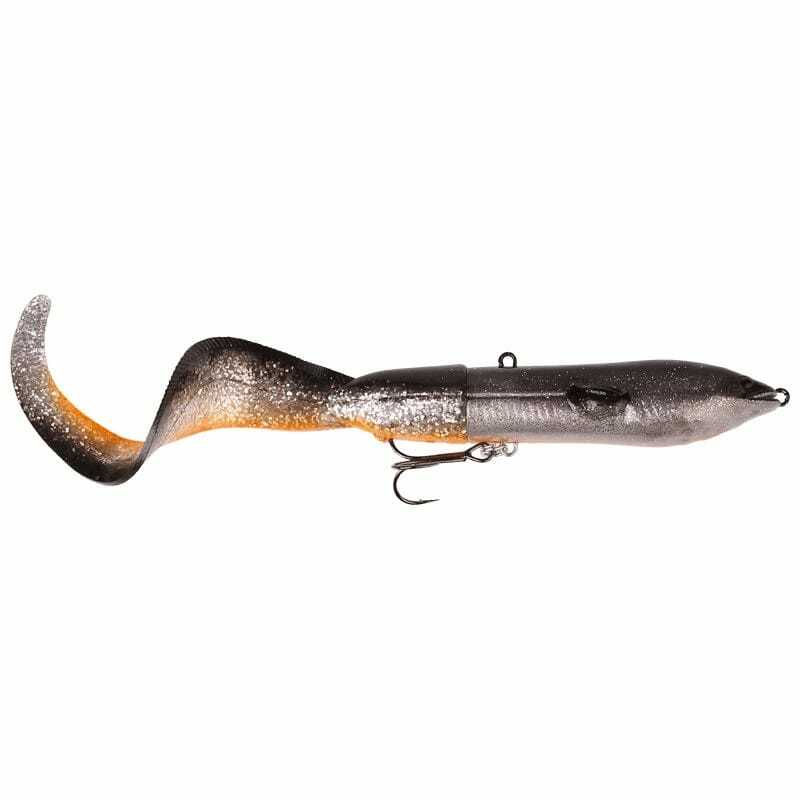 Both sizes have a back 8pin – to enable back hook position to be able to mud drag the lure or fish it over grass or submerged weed – even on super shallow water. 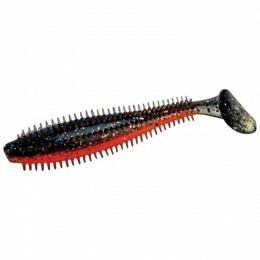 We offer spare tails and "custom" provocation tails – to complete the perfect Hard lure tail bait range!